Windsor’s mommy passed away and he did not have any other family to go to. 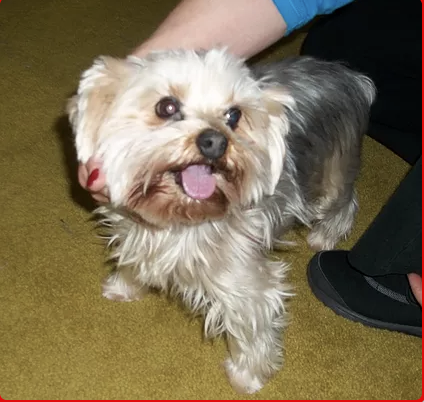 Yorkie Rescue of America took Windsor in and his foster parents fell in love with him. Windsor is a happy loving guy and he has a wonderful new home with a new mommy and daddy. We are so happy for Windsor!